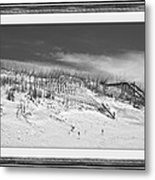 There are no comments for Topsail Island Day Of The Dunes . Click here to post the first comment. 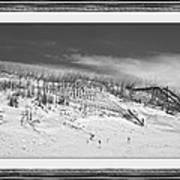 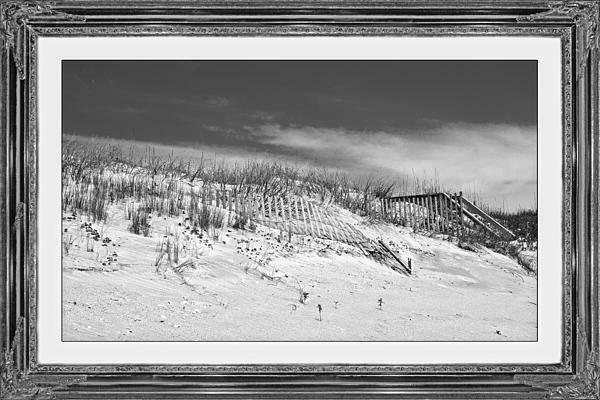 A beautiful day on Topsail Island, North Carolina on North Topsail Beach in tones of black and white. 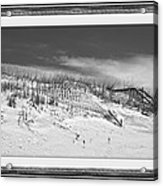 The frame is part of the image and works best as a canvas, acrylic, or metallic print.